Roughly 30% of homes scheduled for auction are sold prior to the big day. For the buyers who were preparing for the auction this can lead to immense disappointment and frustration. So how do you get ahead of other buyers? Last year in his column in Switzer, John McGrath gives some tips on how to snag that hot property before someone else does. It’s one thing to miss out on a property because it sold above your budget. That is a reality for many of us. But it’s an entirely different and much more frustrating situation when you miss out on a property that you wanted to bid on, but it sold prior to auction without you even knowing. In Sydney, recent auction results published by the Domain Group show about 30% of properties scheduled to go under the hammer sold prior to the event. 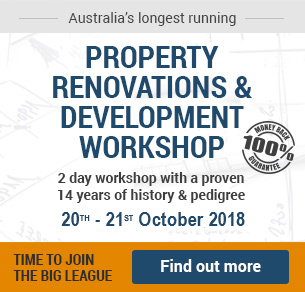 If you want to buy this spring – especially in a boom market like Sydney, you have to be prepared to act faster than the typical three or four weeks that a standard auction campaign provides. The only way a property is going to sell prior without you knowing is if you don’t tell the agent you’re interested. You have to make this known in order to be included in pre-auction negotiations. These negotiations can happen very quickly – often within 24 hours, especially if the buyer who makes the first offer puts a deadline on it. In these cases, agents don’t have time to call 200 people who might be interested in the home, they’re just going to talk to people they know are interested in the home. Here are my top tips to ensure your dream home doesn’t sell prior without you. 1. In a hot market like Sydney, you need to tell the agent you’re interested as early as possible. Call them as soon as the property is advertised and even before the first public open. 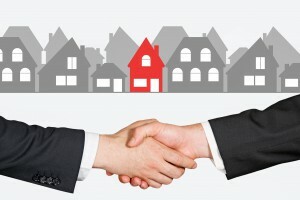 This is important because odds are, the agent already has buyers interested in the property BEFORE it is advertised online (first notification often goes to database buyers; clients of professional buyers’ agents; and buyers that the agent knows personally from previous dealings on similar homes). Receiving offers before the first public open is not uncommon in boom markets, so call the agent right away. 2. Make sure you have a very strong handle on what your property type is worth so you can make an offer quickly if you want or need to do so. Most buyers are seeking one type of property but are willing to buy in several neighbouring suburbs. The price differential between suburbs can be significant for many reasons, including the suburb’s reputation, school catchment zones, proximity to transport etc. You can research fair market value by looking at recent sales online. Bear in mind that in boom markets like Sydney, sales data that is more than a couple of months old is already out of date. Don’t expect to pay in September what you might have paid in March! Why do properties sell prior? 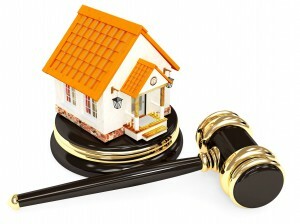 Here are a few reasons why properties sell prior to their scheduled auction date. Towards the end of a boom period, many buyers who have been in the marketplace for a long time are very fatigued and really want to get a deal done. So they make strong offers quickly in an attempt to remove the property from the market fast. Properties may sell prior when there is only one buyer. It makes no sense to go through to auction when there is only one genuine buyer interested. This scenario is far more common in slow markets. The vendors might be in a hurry. Sometimes they don’t particularly want to wait three or four weeks until the scheduled auction. They tell their agent they want to sell as soon as a certain price is offered. Finally, there might be lots of buyers interested in a property, but only one of them is willing to pay significantly more. For example, if an agent has five buyers and four of them are in the early $800,000s and one of them is at $900,000, it makes no sense to go to auction. The lower budget buyers are likely to stop bidding at $850,000 or $860,000, which won’t push the best buyer to their maximum budget of $900,000. 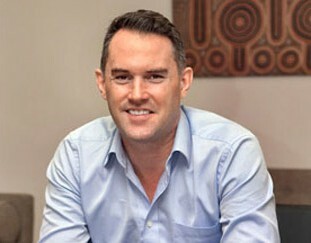 You’re far better off negotiating with that one outstanding buyer prior to auction. So remember, talk to the agent and make it clear that you’re seriously interested in the home. Specifically state that you want to be kept informed if offers are being considered prior to auction.